Every summer film line up should have a heart-warming love story, right? Well, this one suits the bill but isn’t quite like the usual fare that comes out this time of year. 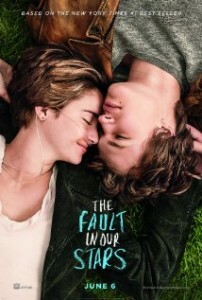 Based on the novel by John Green, the story follows two teens that meet and fall in love at a cancer support group. KIDS FIRST! Film Critic Raven D., age 16 comments, “I was very hesitant when I saw that they were making a film based off of the novel by John Green because the book is so amazing and I wasn’t sure if a movie would do it justice. But this film goes above and beyond.” Jailene A., age 13 adds, “This movie shows the hardships of being in love and fighting for your life in such a beautiful but realistic manner. I absolutely love this film.” See their full reviews below. The entire audience was sobbing by the end and this film does look at life and death in a very blunt and real fashion. There are also a few moments with mature language and some sexual situations so I recommend this film for ages 13 to 18. I think this is a must see and definitely a wonderful summer film, whether or not you’re a teen. This is a wonderful love story that everyone in their teens and older should experience. I give this film 5 out of 5 stars so make sure you see this remarkable film in theaters June 6th! 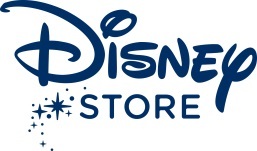 WHAT: Disney Store will celebrate the grand opening of the newly-designed store at Del Amo Fashion Center in Torrance, CA on Saturday, June 21, 2014. Del Amo Fashion Center is one of several newly-designed Disney Stores to open across North America in 2014, offering interactive and magical experiences for Disney fans of all ages. The first 500 Guests to attend the opening celebration will receive a free gift and an opportunity to meet Mickey Mouse and Minnie Mouse in the Grand Court from noon to 4 p.m. The Disney Store at Del Amo Fashion Center will create “Magical Moments for Guests of all ages” through storytelling neighborhoods featuring a Disney Princess Castle, magical trees, and the Disney Store Theater featuring the latest Disney entertainment, as well as a custom skyline with iconic Disney storytelling scenes and local landmarks.